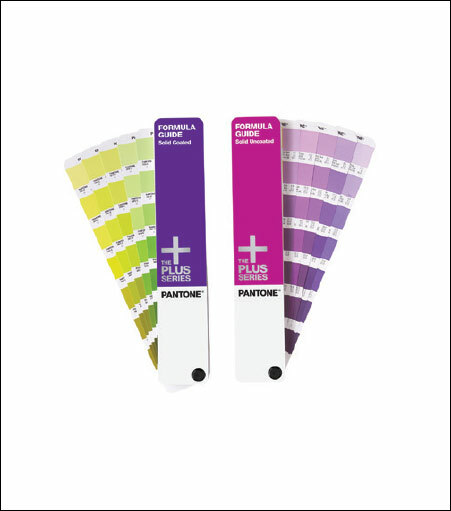 These new PLUS SERIES FORMULA GUIDES are the updated versions of the indispensable PANTONE MATCHING SYSTEM® tools for selecting, specifying and matching solid PANTONE® Colors. Graphic designers, pre-press professionals and printers now have 1,341 color choices – all of the current PANTONE® MATCHING SYSTEM Colors plus 224 new, market-proven hues – in a new chromatic arrangement. Ink formulations are provided to aid printers in mixing colors.